This conference, organized by IUFRO Division 5 (Forest Products), in conjunction with the Technical University of Lisbon, will provide a mechanism for the exchange of knowledge and experience in forest products research at both the national and international level. 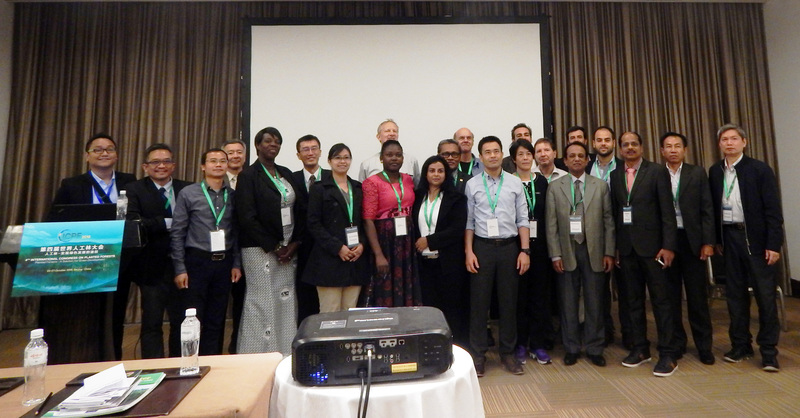 Participants will discuss recent research progress, exchange information, and collaborate on research related to the conference theme of "Forest Products ". Conference Chair: Pekka Saranpää (Finland). The second Asia-Pacific Forestry Week: "New challenges - new opportunities" will be held 7-11 November 2011, in Beijing, China. An international conference on teak will be held at San Jose, Costa Rica in 31 October- 5 November 2011. The conference will be jointly organized by CATIE, FAO of the United Nations and TEAKNET. In collaboration with the Government of India, the Food and Agricultural Organization of the United Nations (FAO) will be holding an international conference about wood products and sustainable development. This message is to announce the first call for papers and inform people that registration for the conference is now open. An international training programme on "Inovations in the Management of Planted Teak Forests" will be held at Peechi, Kerala, India on 31 August- 3 September 2011. The Organizers and Sponsors of the Training Programme is TEAKNET (International Teak Information Network), Kerala Forest Research Institute (KFRI), Food and Agricultural Organisation (FAO) of the United Nations and Kerala State Council for Science, Technology and Environment. The details about the workshop is available in the second announcement which can be downloaded. TEAKNET held an international workshop on "Production and Marketing of Teakwood: Future Scenarios" during 23-25 November 2009. The workshop was held at the KFRI campus at Peechi, Kerala, India. The details about the workshop are available in the brochure which can be downloaded.